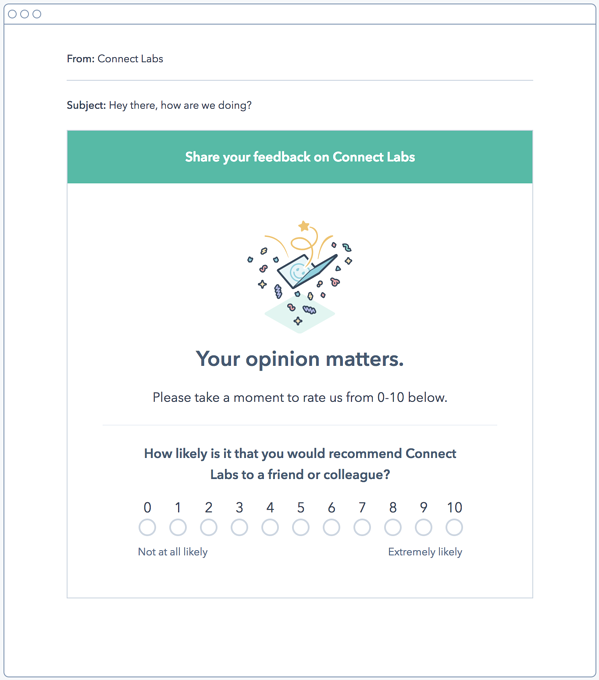 One of the more important things we track here at Connect Labs is Customer Happiness. Why is that important? It's simple really, we're more about people than tools so each time we think about how we can grow our customer base our differentiator remains - putting the people we work with and their success metrics first. Voila! Happy customers = greater trust and more revenue for our customers and us. Trust is everything while building your business and growing revenue. It's a sure way to build relationships in a world that's getting less people focused and more bot ready. So the next time you are thinking of being there for your customer, think about it empathetically not just go forth cause your role demands it. Product development is key for the growth of any company in the software space, no matter the industry. It's important that we interact with the user and create avenues for them to reach out to us - either via chat, email or call. We partner with HubSpot as their values as a software company align so closely with ours and we want the same thing - happy customers. To make sure that product and service align, we focus on customer success. Customer success initiatives are vital to preserving and expanding revenue, boosting customer advocacy, and sustaining profitability and growth. To systematically grow an established customer base it's important to identify any red flags, increase customer retention rates. A customer success software is vital to score how you're doing at scale. Customer success initiatives help in preserving and expanding revenue, boosting customer advocacy, and sustaining corporate profitability and growth. Customer success software often integrates with CRM, help desk, and social media management tools. So many times as we interact with brands, we're often asked, "how likely are you to recommend us to your colleague or friend?" - this question is precisely what is used to gauge customer satisfaction and is known to correlate with revenue growth. NPS surveys can be send out at a recommended interval of 3 months to give your customers time to review and respond. 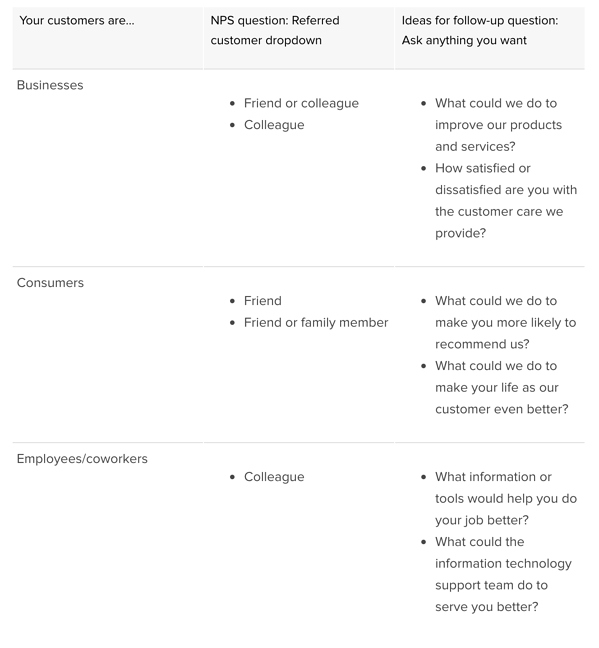 Different types of people using surveys can change their NPS question to suit. You might measure loyalty only or add value post-service straight away asking if your problem was solved. So use this time to send out a survey and get cracking with new ideas to wow your customers using a proven way to measure your success. Being human is the essence of building relationships - provide value, solve for problems and keep your eyes on the prize that is customer happiness. But what happens when you scale so much that you can't keep up? 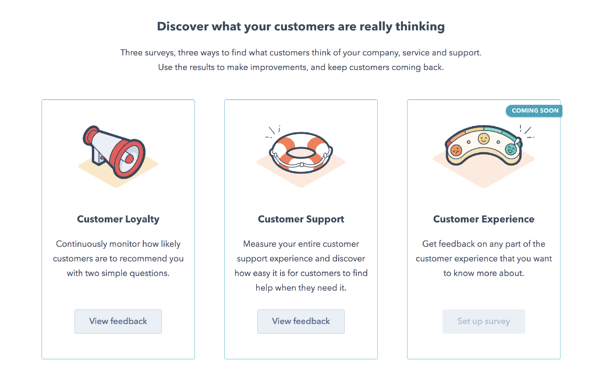 Software can solve for this by allowing your CRM to track all the support queries that were sent your way and all the ways that they found your team to be helpful and solved their problem. Being proactive might be an even more genius thing to do, after all, who wants to 'log' a support ticket? We want things to magically be intuitive, think like we would if I was looking for a certain issue and help boost my ability to grow relationships while tackling issues of scale. AI and all the other robots might have something to consider. HubSpot does have the bots though, can we make them cool enough to care? Well, truth is we'd love to try, for ourselves and for the people we care about. The more we can help businesses be nicer and more helpful with software, the more we're allowing them to #workhappy. Trust allows your brand to scale as you retain employees and customers alike. The result: incredible revenue growth and not to forget, happiness. 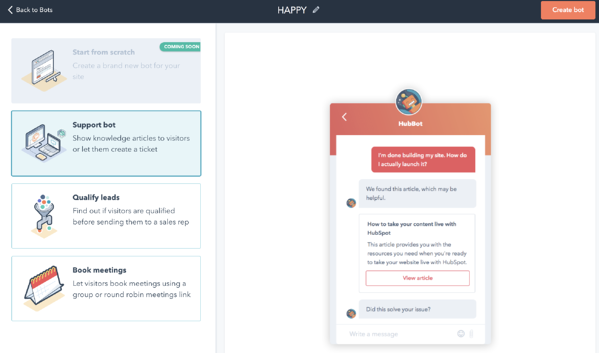 HubSpot has built a new product, the Service Hub. It is 100% dedicated to helping businesses deliver better customer experience. Service Hub entails of Conversations, Knowledge base, Ticket automation and help desk, and Customer feedback. You can track, manage, and deliver on customers’ needs and expectations - all in one place! If you're interested in seeing this is action, talk to us about the Service Hub and empower your teams to support customers from right within HubSpot, quickly and effectively.